Battery backup surge protector devices are critical pieces of equipment. These devices should be applied to backup or emergency power system scenarios, large or small. The purpose of such devices help to ensure reliability and dependability of the emergency power supply. Battery backup systems are responsible for restoring or maintaining power to individual equipment, sensitive devices and power systems in the event the primary power source is disrupted or fails. Battery size and number can range from small single cell units for individual devices to large banks for commercial operations. If your electronics and electrical equipment are important enough to warrant a battery backup unit, then your back up unit/system should be important enough to warrant being protected with high quality, properly designed surge protectors. Individual units and larger systems are used in multiple applications for numerous electrical and electronic emergency power needs. Many systems and sensitive equipment use a UPS or multiple UPS’s for primary power disruptions. Uninterruptible Power Supplies are a very common emergency power devices used by both small and large entities. In addition to uninterruptible power supply units, there are battery bank applications. These are often found in power plants, sub stations, telecommunication facilities, commercial wind and solar farms and even residential scenarios. 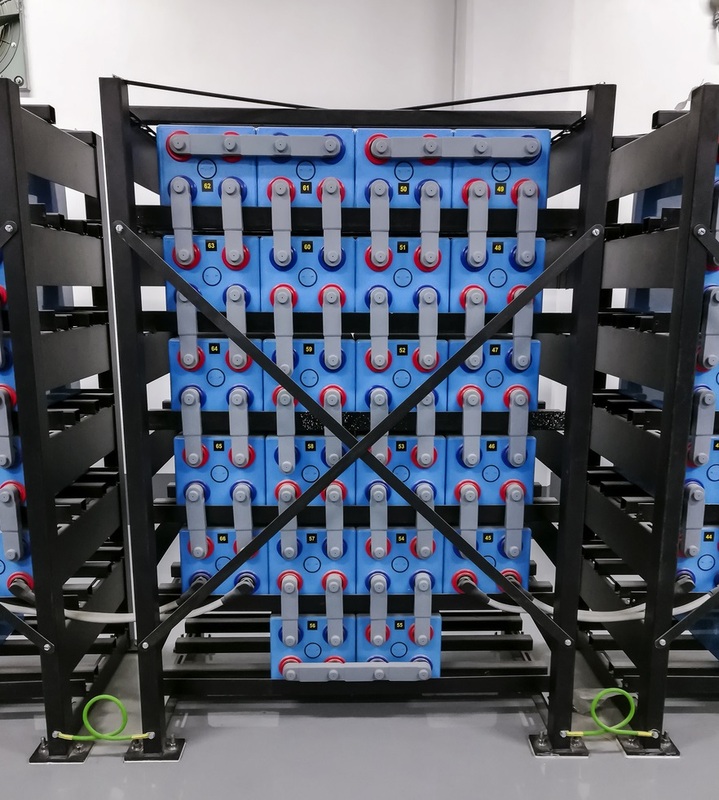 Located in vented "battery rooms" for safety, the number of batteries for power storage can range from a few units to hundreds of units or more. Common types of batteries used in these banks are often deep cycle lead-acid and NiCad. Placing the right SPD, in the right location, with the right installation provides the best surge protection option. A layered protection approach on the power side and data line protection on the signal side using high quality, Surge Protective Devices is recommended. A layered or cascade protection approach is also a recommendation of the IEEE. This provides a best practice when protecting sensitive electronics and critical equipment. This approach protects the upstream inverters/rectifiers, charge controllers, distribution panels and other equipment from damaging transient voltage. As designed, this provides layered protection for the battery bank. Our line of SPD's are specifically designed for applications and protection needs of battery backup systems. Our top of the line AdvantageTM Series are high quality, high performance devices that employ true All-Mode Protection, encapsulation technology and use a multi-stage hybrid network design. Industry leading Frequency Responsive Circuitry™ available... as well as quality SPD Options. Safeguard your systems with High quality and High Performance Surge Protectors. AdvantageTM Series Surge Protective Device's are backed with our industry leading 25 Year “No Hassle” Warranty.